Do you live and breathe 4WD vehicles and motorcycles? Do you have the skills to effectively develop training modules that will teach students how to safely operate them in the classroom and in hands-on experiences? JAARS operates a maintenance, operations, and safety course for those preparing to go overseas and for nationals in overseas locations. We also maintain our own off road training course on campus that offers students practical application. 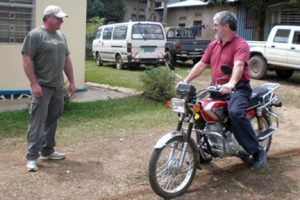 Share your knowledge and expertise so that staff on the field can safely reach their destinations and help make Bible translation and language development possible! Coordinate all Land Transportation training including, but not limited to, curriculum development, instructor training, certification, record keeping, and training exercises.